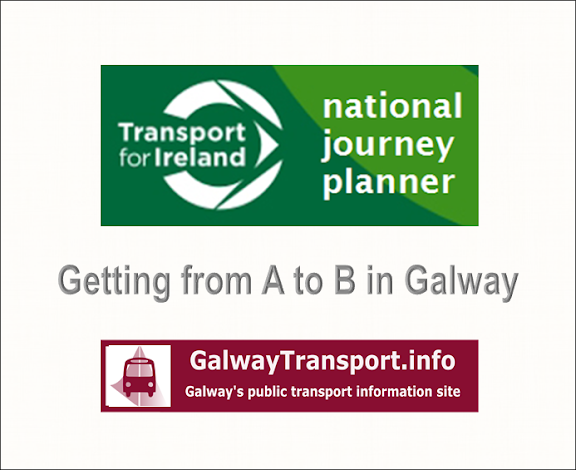 Information about public transport services between Galway City and the airports that are regularly used by people visiting, living or working in the Galway area. Most taxis and hackneys service will provide a service to any airport. 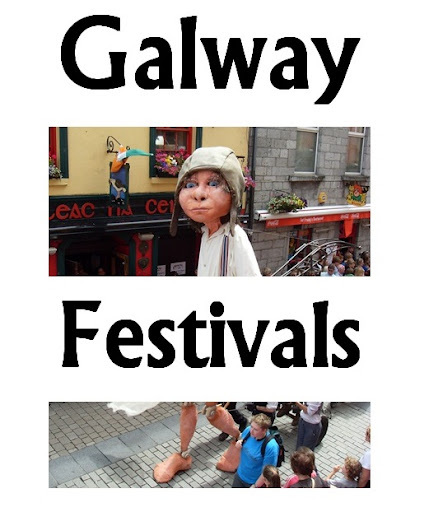 Galway Shuttle currently offer private transfers to/from any airport - must be booked in advance. They may offer shared-shuttle services (you share the van with other passengers and the shuttle may call at other destinations before your own - for a better price than a private transfer) in future. Combination - Route 409 bus to Briarhill Shopping Centre, taxi from there: there is no taxi stand, you need to organise this by phone or app. This is the cheapest option. Route 51 (Galway - Limerick - Cork) buses run every hour between 7am and 8pm (approx). Note that route x51 (Galway - Limerick express) does NOT serve the airport. 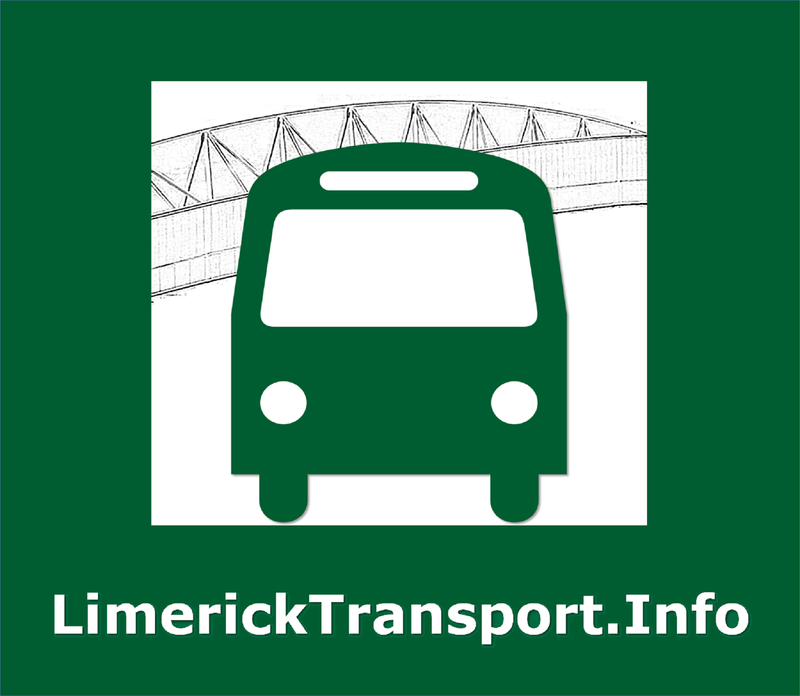 See www.buseireann.ie for information about connections to other towns. There is no train service to Shannon Airport. 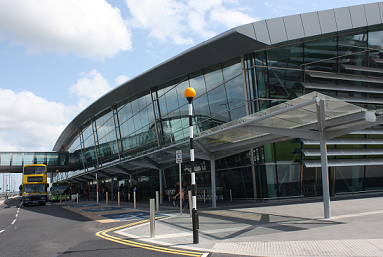 Many taxi and hackney companies in Galway will do a fixed-fare journey to Shannon. 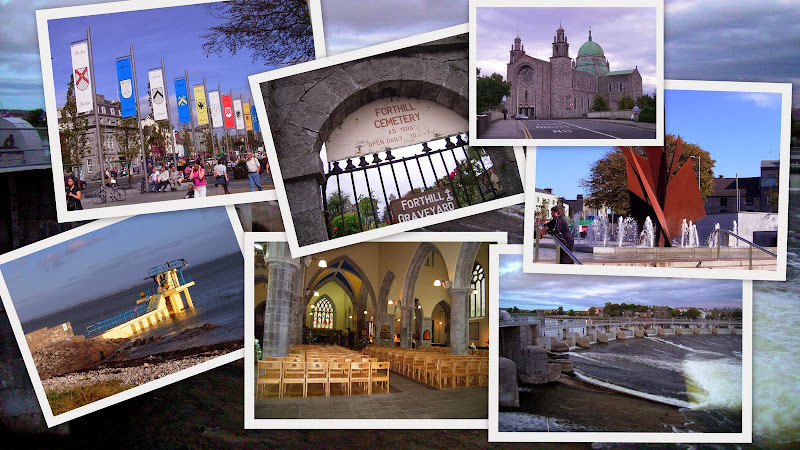 Travel time is a little over 1 hour from Eyre Square. You need to book in advance: always ask the compnay for advice about the time to allow, as it can take longer in heavy traffic. Fares of €90 have been quoted publically. The first Galway to Shannon bus each morning is a Bus Éireann service which arrives at Shannon at 6:10am. Travelling to the Shannon area by bus the evening before, and spending the night in a local B&B and using a local taxi or Bus Eireann's roue 343 Limerick-Shannon service which arrives at Shannon at 5:45am - or just spending the night in the airport terminal. Travelling to Dublin the evening before (see Regional Buses), and catching a JJ Kavanagh bus that departs Dublin airport 12:30am, arriving at Shannon airport 4:30am. Aer Arran Islands run a shuttle-bus from Galway city: book it when you purchase tickets for your flight. 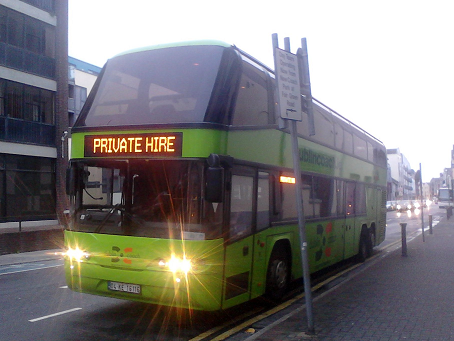 Citylink run a service to Cork city, which continues on to Cork Airport and UCC. 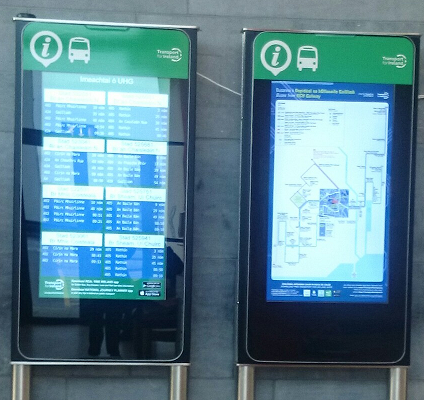 Bus Éireann run regular services to Cork city: from Cork bus-station you can connect with local buses out to the airport. Bus Èireann run regular services from Galway to Sligo which call to Knock and Knock airport.